The Canyons Village is now part of the newly improved Park City Resort which is connected to the original Park City Resort with the Quicksilver Gondola making it now the largest ski resort in the United States and it is managed by Vail. 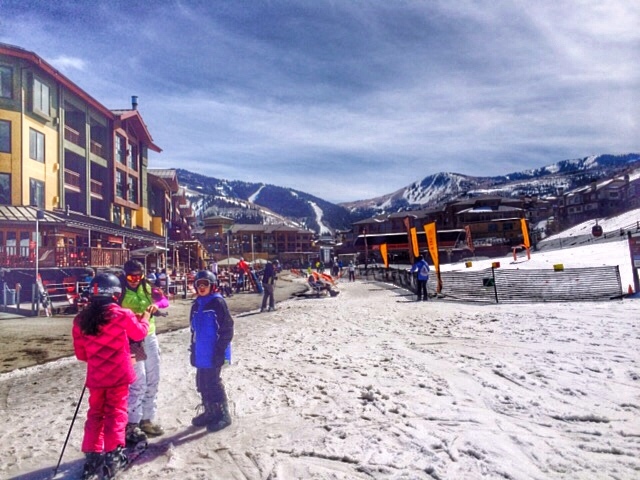 The Canyons Village at Park City Resort offers great skiing away from all of the crowds and it is not uncommon to find fresh lines all day long. There are eight distinct mountains at the Canyons Village, 152 trails, 5 bowls, 6 natural half-pipes and 2 terrain parks. The Canyons offers skiers and snowboarders a variety of terrain that will challenge all skill levels. The Canyons Village offers a large number of summer activities and events. The Canyons Village provides scenic gondola rides, breath-taking hikes, a variety of mountain bike trails, live music concerts and a farmers market. There are several newer construction condominium and townhome developments at Canyons Village which include: Silverado Lodge, Hyatt Escala, Waldorf Astoria, Lodge at Westgate, Juniper Landing, Fairway Springs and Vintage on the Strand. There is also the unique gated ski in ski out community of single family homes at The Colony at White Pine Canyon offering luxury ski homes on large lots that average 8 acres. If you are looking for a ski in ski out home at the Canyons Resort then consider the Colony at White Pine Canyon. There are a few homes that can be found near the resort center and many others a short drive away in the Sun Peak area.